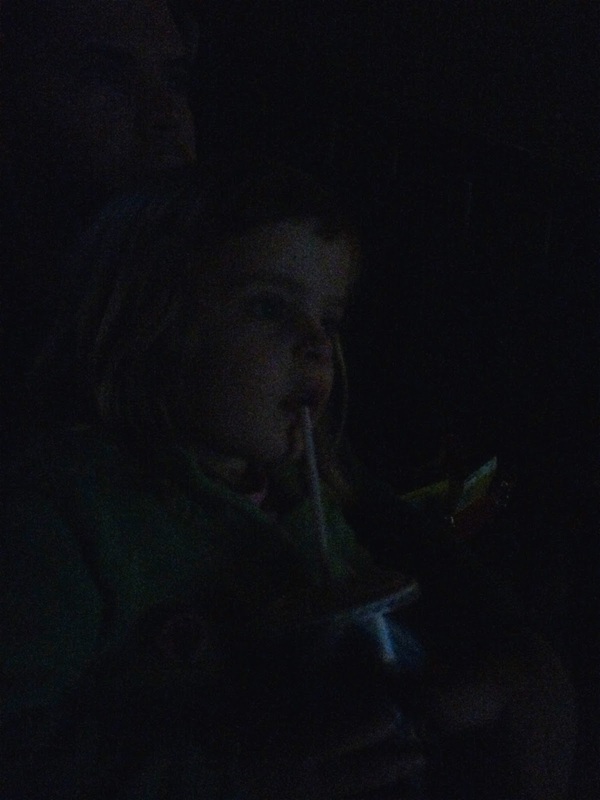 Amelia hasn't seen many movies in the theater ... in fact, I think Frozen was her first and only one. Until Cinderella. She loves the animated version of Cinderella, though, so we were excited when we saw that the live-action version was coming out. ESPECIALLY when we found out that the Frozen short was going to play exclusively prior to it. Could we have BEEN more excited? No, Chandler Bing, we could not. 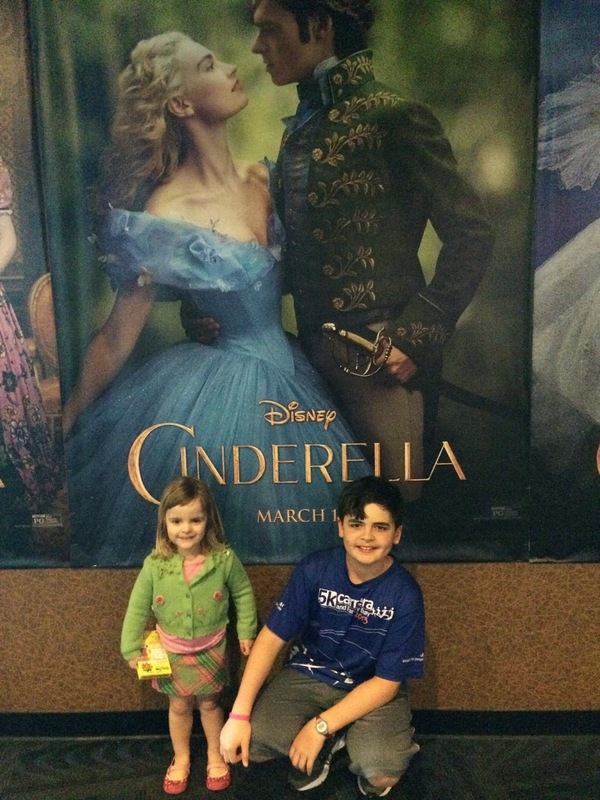 So we didn't tell Amelia we were going to see Cinderella until about 15 minutes before we left the house. I like to think we saved ourselves a minimum of 50 questions. 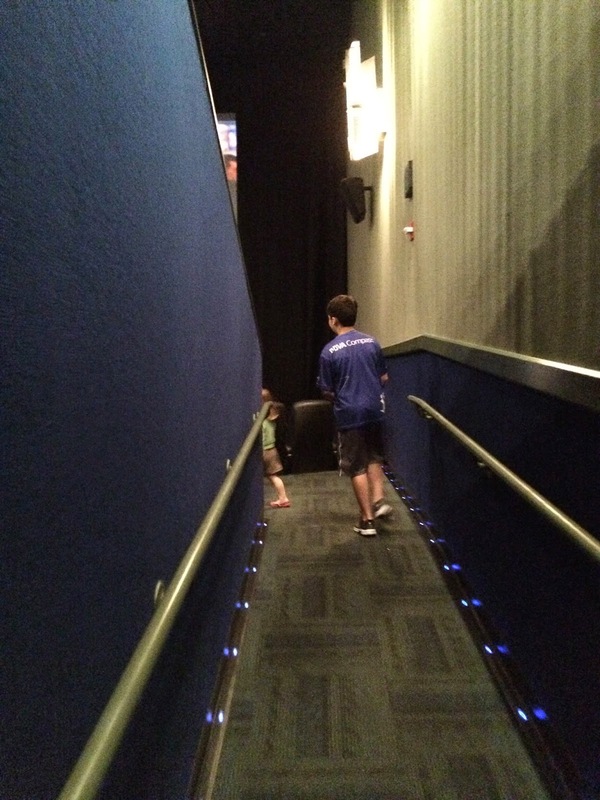 She could hardly wait to get in the theater and pick a seat. And by pick a seat, I mean "wait for me to sit down and then insist on sitting in my lap." I don't know if you've seen either the animated version of the film or this version, but they are ENTIRELY different. The first 90 seconds of the animated version, the bit that's narrated at the beginning of the animated version? THAT'S THE FIRST HOUR OF THIS FILM. Literally, the first hour is all backstory about "Ella" growing up with her parents, losing both of them and adjusting to life with her stepmother and stepsisters. I mean, it's all GOOD ... it's just so different than what I was expecting. The last 45 minutes cover the story you're probably more familiar with, CINDERella. Of course, I paid extra-close attention to the scenes that featured my celebrity doppelganger. 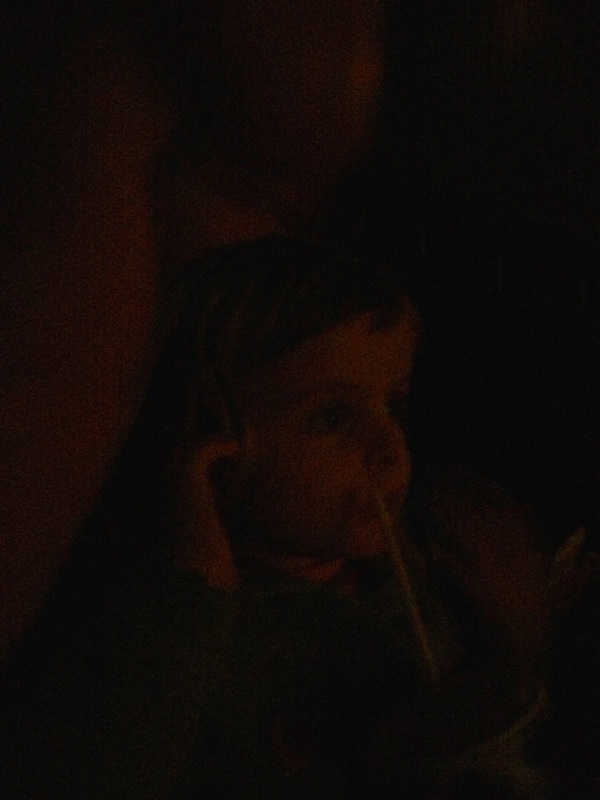 Amelia was glued to the screen the entire time ... she adored it all. Visually, it was stunning. Just a beautiful film. And I have to say, I've not been a fan -- at all -- of Lily James as Cousin Rose on Downton Abbey. But I really, really liked her as Ella. 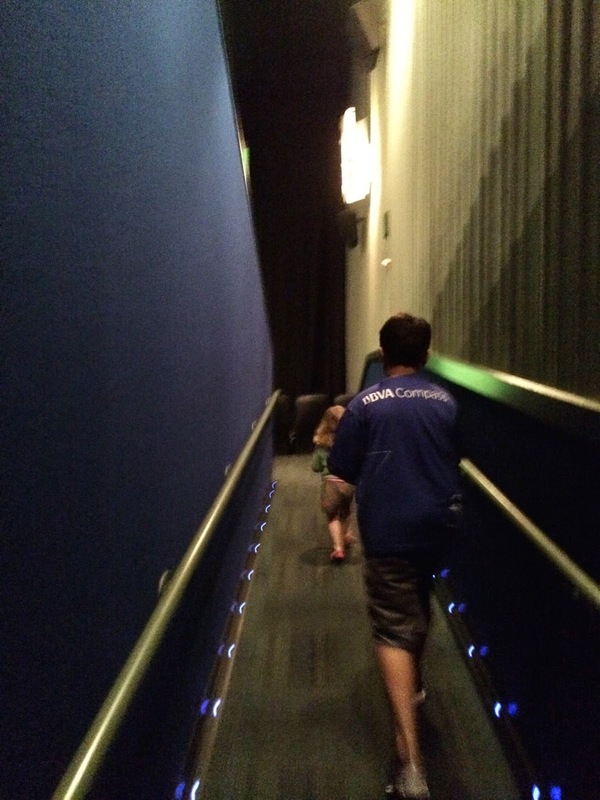 Would you like to see how I viewed the majority of the movie? Like this. It was kind of like Mystery Science Theater 3000, but with one giant toddler's head instead of a trio of robots' heads in the way. But she's only 3. So I'm sure I have roughly 947 more lifetime viewings to get a good look at anything I might have missed during the first go-'round.